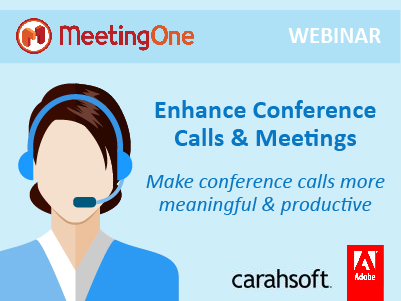 The MeetingOne webinar program provides unique online learning opportunities for anyone looking to develop their skill-sets with audio and virtual meeting tools. Our experts share best practices and identified trends so you can enhance your webinar, virtual classroom, and collaboration programs. Missed a live online event? Browse the On-Demand Webinar Library for the recording! Watch and learn all about the New HTML5 interface featured in Connect 10! Join our Customer Success team as they show you the new connection options for participants, improved user interface and what’s to come as Connect embraces HTML5! 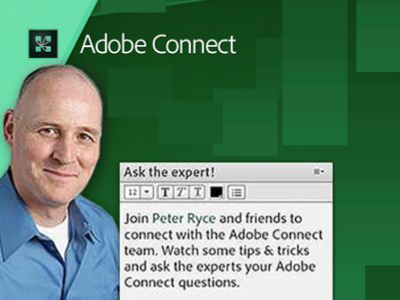 Join us to learn from Peter Ryce, from Adobe HQ, and others from the Adobe product team! Whether you’re new to Adobe Connect or you’re a power user, this session will help you get the most out of the product. Subscribe to our email list to get all the updates on our upcoming webinars! Join Adobe as they take you through dynamic topics and how-tos on Adobe Connect with credible industry thought leaders. Review our collection of previously recorded webinars from thought-leadership to product expert tips! It may seem like comparing apples to apples when looking at web conferencing platforms, but the fact is some are better for certain online events. 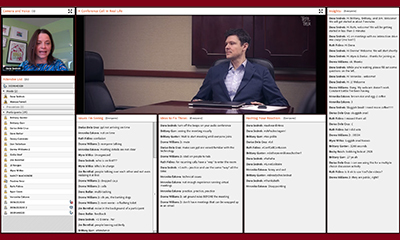 Hear an unbiased account from David Smith, of Ds Virtually, a web conferencing expert. Every year when winter arrives, inclement weather displaces thousands of workers from their offices. Yet, high levels of productivity and continuity of operations remain a necessity. 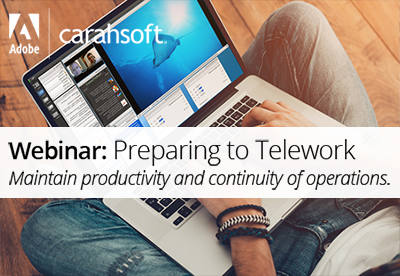 Are you able to telework successfully? New to Adobe Connect? An old pro looking for a refresher? 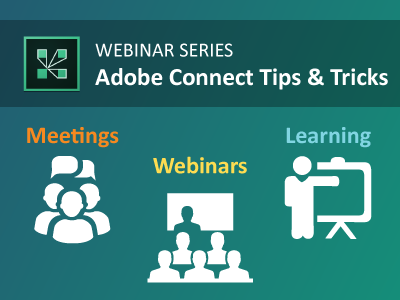 We have ten webinars loaded with best practices that can help you hold better online events, including meetings, training, and webinars, in Adobe Connect. How do you make your events stand out? We have a secret weapon you can use! 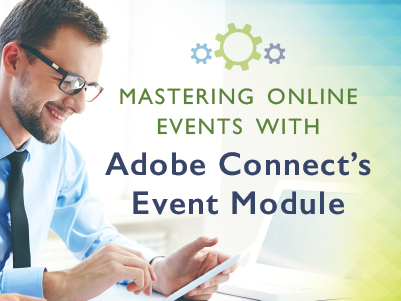 Uncover the key benefits of using Adobe Connect’s Event Module. Not all web conferencing tools are created equal. Watch the recording to see how the top webinar platforms stack up. We compare WebEx, On24, GoToWebinars, and Adobe Connect Webinars on attendee engagement, customizability, ease-of-use, and other features. 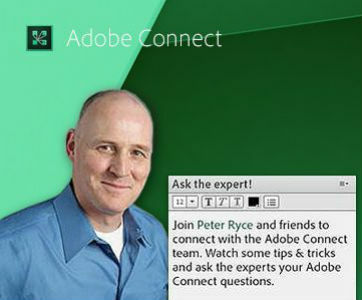 Get an inside look at Adobe Connect as their top product experts respond to the questions of numerous Adobe Connect users and interested attendees. Click&Meet has long been a dynamic tool for controlling calls online. With recent feature updates, your calls can be easier to control than ever before. 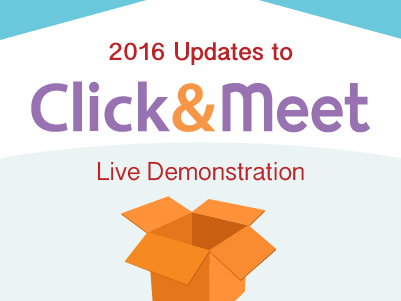 Watch our demo of the 2016 updates to Click&Meet! Are you getting the best input from your participants? How do you know? 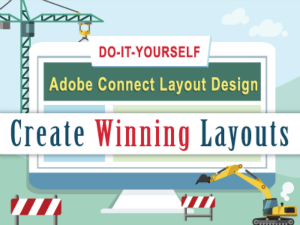 Whether it is a meeting, training, webinar, or collaborative conversation, your Adobe Connect layouts should enable you to achieve the very purpose for which you’re coming together. 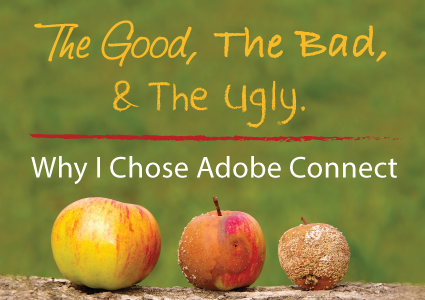 See how great Adobe Connect Layouts can be the differentiator from a just okay online session to great online session! Starting from scratch with Adobe Connect? Don’t sweat it! 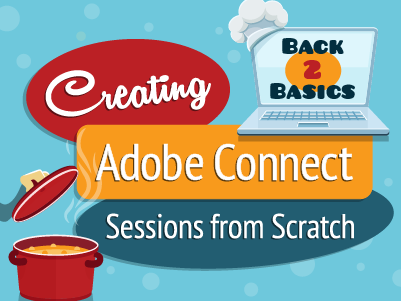 Dana Sednek is here to share her recipes for creating successful Adobe Connect sessions. She’ll teach you time-tested techniques you can use to host and serve up sensational virtual meetings, training sessions, and webinars. 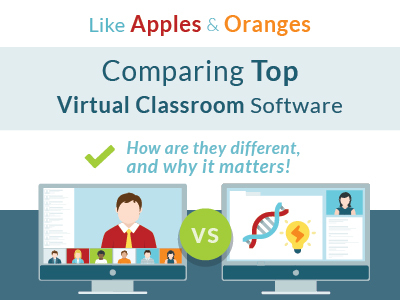 When choosing a webinar or eLearning platform it’s important to know you are not just comparing apples to apples. Some apples are rotten, sour, or too sweet. Get all the facts before you choose & learn from someone who has tried a variety of platforms for her own online sessions and why she ultimately chooses Adobe Connect every time! During this webinar we will guide you through building out Adobe Connect layouts and pods that help extract the most out of your online events, promote critical thinking and drive collaboration. Having a custom Adobe Connect experience does not require you to be a technical graphic guru. Watch as we show you every possible area for customization accessible to the average Adobe Connect user with administrative access. The Event Module is a powerful tool made for optimizing registered online events; such as webinars, training sessions or large meetings. See how to use this module to help customize your event and increase ROI. 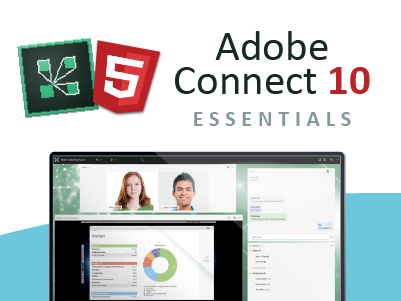 Get an in-depth technical overview of Adobe Connect and learn why this powerful web conferencing tool is quickly becoming an industry standard for government IT departments. 3 Stellar Adobe Connect Layouts that Drive Meeting Results! Recapture your audience’s attention and guide their thoughts in the direction YOU want with Dana Sednek’s three Adobe Connect room layouts designed to drive meeting results. 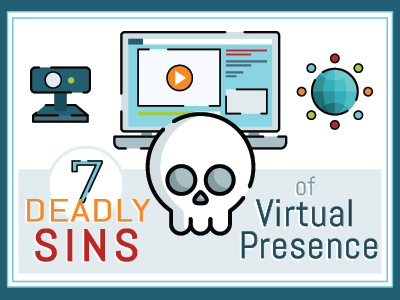 Beware the 7 mistakes that plague far too many virtual presenters – and start holding better online sessions! Stop lecturing and start collaborating during your training! Learn why you get better learning results when you focus on engaging your audience. Learn from industry expert, David Smith, Global Director of Virtual Gurus, how to take your in-person trainings to online in 6 simple steps in our on-demand webinar! The benefits are tremendous! Tired of your learners leaving your online training without retaining a lick of information? 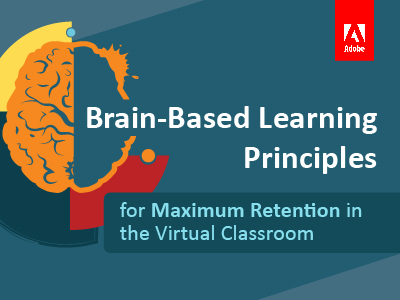 Well, you will find 6 brain-based learning principles for improving retention in this recording! 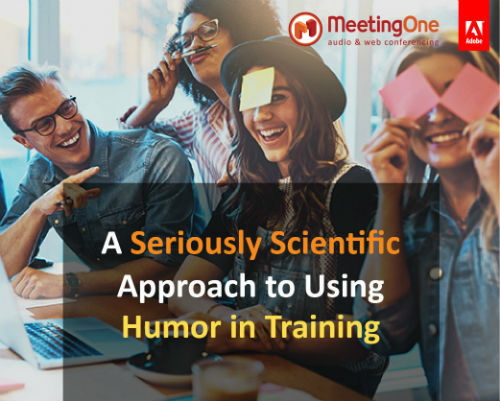 Neuroscientists have made a new discovery that challenges everything we know about instructing: using humor can enhance training. That’s right, a few good jokes can make your training more memorable! Learn how you can successfully add humor to your training! Cultures Unite! 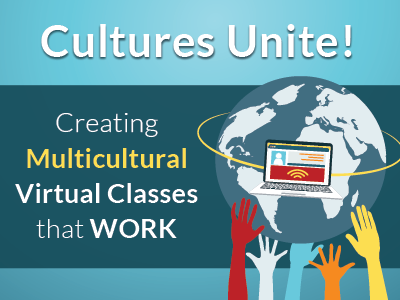 Creating Multicultural Virtual Classes that Work! Utilizing virtual classrooms has allowed us to instantly train thousands of global learners at a fraction of the cost, a huge advantage to international organizations. Yet, instructing learners across the world comes with its own difficulties. Watch our recording to learn how to do so successfully! 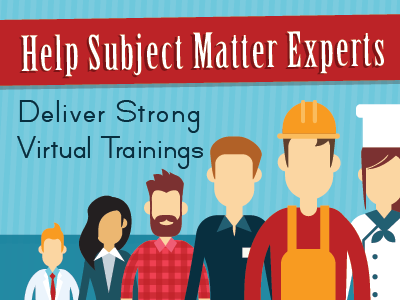 SMEs aren’t always able to give powerful lectures during online training. Learn how to turn expert knowledge into an engaging virtual session, while reaching audiences across the world! 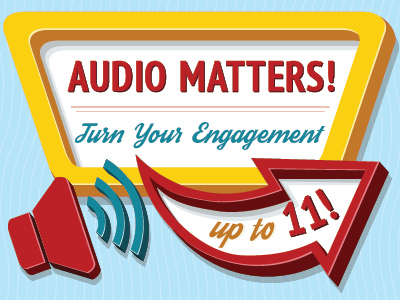 Learn the top audio strategies and tips to help you boost audience engagement during your virtual classroom trainings, meetings & webinars! John Medina’s “Brain Rules” is an amazing introduction to the fascinating world of neuroscience! In this interactive webinar, David Smith, co-founder of Virtual Gurus, explores the 6 key rules that should inform how we design & deliver learning. 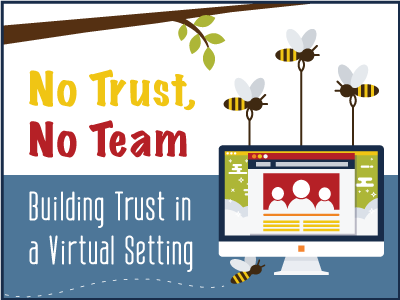 Watch an informative and engaging webinar that covers everything you need to know to be able to build trust from a distance, FASTER! We’ve all heard that distance makes the heart grow fonder? We know that isn’t always true. Working virtually can make you lose connection not only to the deliverables you are responsible for, but to the people that make it happen. 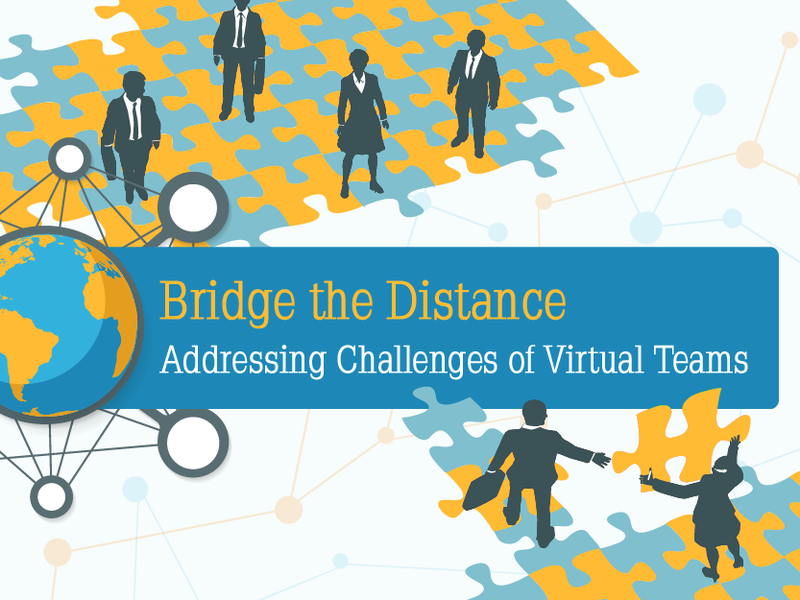 Learn how to bridge the “virtual distance” when managing a global team! 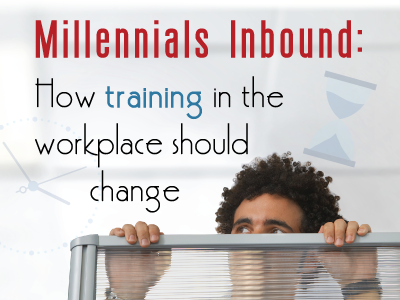 Learn from industry expert, Brad Szollose from Liquid Leadership, to raise your awareness about the increasing need for adaptive training to prepare for inevitable cultural changes as millennials enter the workforce. Fun-lovers from coast to coast were brought together to get festive using the interactive features of Adobe Connect. We decked the virtual halls, got into the holiday spirit with video clips, gave some special gifts to a few lucky attendees, and more! 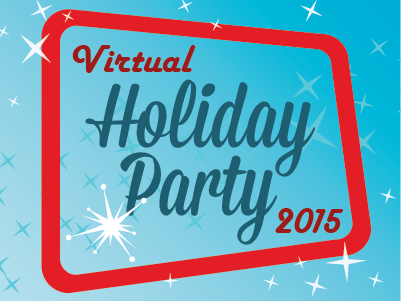 Watch this virtual holiday party to part with ideas on how to replicate this modern approach and show appreciation for your clients & employees around the world! Learn the benefits and how to implement your own online learning program into your organization or teaching program in your school, following Proximity’s business model. Whether you’re an experienced yogi or a beginner, yoga is for everyone and is a great way to increase strength, flexibility, lose weight, manage stress, & improve your posture. 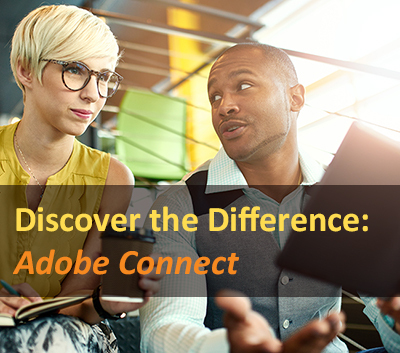 Adobe Connect isn’t just for online meetings, training or marketing webinar, it’s a way to connect in new ways you never expected! 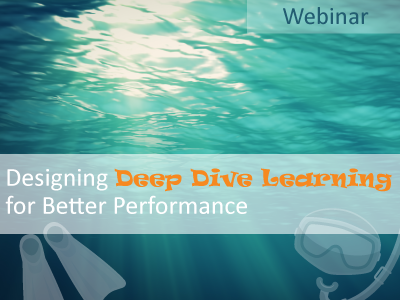 Discover how to turn any webinar or online learning experience into sustainable behavior change. From influencing client referrals, nailing a customer demo or enhancing the effectiveness of employee training, this 4 step process can turn your online learning into a memorable one! Quickly Get to the Learning Conversations You Want! 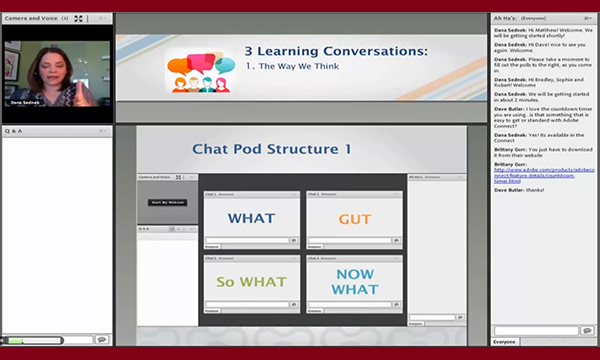 Learn how to focus your webinar and utilize pods to get to the heart of learning faster! Use Dana Sednek’s tried and true methods to make eLearning captivating. 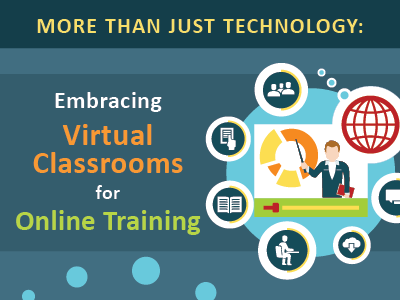 What if the training you deliver in the virtual classroom was so vibrant and compelling that people clamored to attend your sessions? 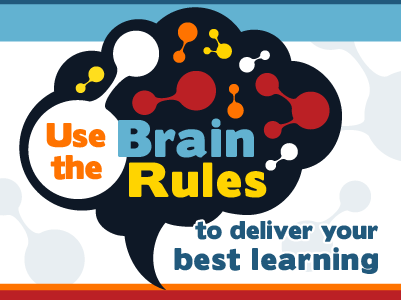 Your ability to connect with, engage, and stimulate the thinking of your participants is directly linked to your understanding of the neuroscience of learning. Learn 6 principles sure to help you achieve maximum engagement. Unproductive meetings and conference calls are a thing of the past! It’s time to eliminate distractions, increase collaboration, and hold successful calls every time! Watch our recording to learn how to do so successfully! 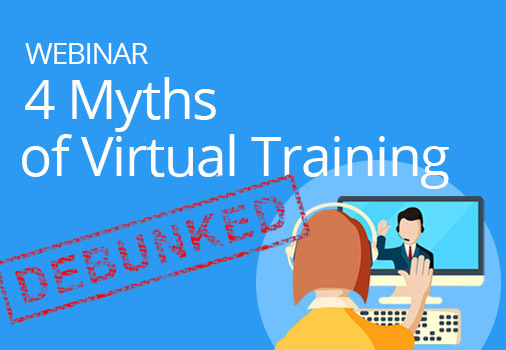 In this on-demand recording, we will discuss 4 common myths of virtual training, and how to overcome the superstitious chatter surrounding such training. 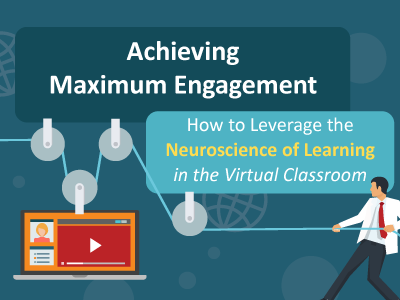 No need to toss salt over the shoulder, we have essential practices that make virtual learning successful! Are you judging the success of your webinars purely on the results from the live presentation? 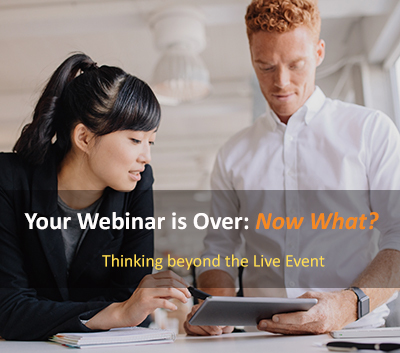 The power of webinars lies in their ability to provide ongoing business returns long after “event day.” Use effective strategies to get more out of your webinars – post-event. 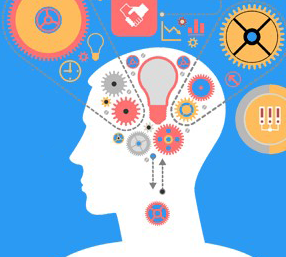 Having teams that employ critical thinking can redefine the success of your organization. During our webinar, Dr. Allen Partridge, an eLearning expert, shared why business success, critical thinking, and online training are all intimately linked. Many organizations expect to simply deploy virtual classrooms and reap immediate benefits. But holding successful online sessions with a virtual classroom requires much more than just acquiring technology. 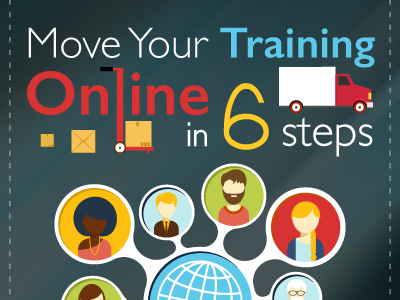 Learn how to make your transition to virtual training a success! 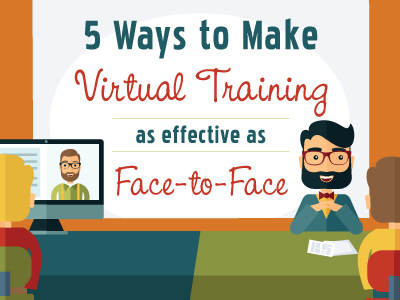 Join us as we share the top 5 ways that you can ensure your virtual classroom training can be every bit as engaging and interactive as your face-to-face trainings. A key benefit of face-to-face training is seeing the participants verbal/non-verbal cues, & personally judge how the session is going. With online training, it’s so easy to lose the feedback element and make it one-sided, which isn’t as effective or beneficial for trainees. 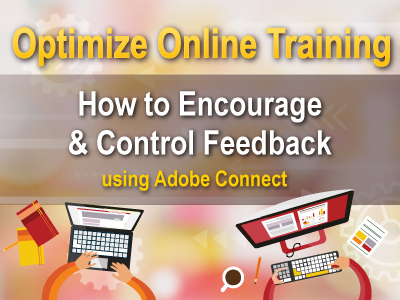 Watch our interactive webinar to learn new ways to encourage & control feedback. Watch this webinar to learn how to design essential objectives and questions for your online learning experiences. You’ll be guided on how to best use the Adobe Connect platform to create online sessions that will be impactful and engaging! This webinar is helpful for anyone looking to produce sales, host webinars, train employees and enhance culture, or whatever your organization’s need is for an engaged audience! In this webinar, we will explore how adults learn differently and discuss a couple of principals that can be used to successfully impact adult learners using Adobe Connect. Self-interruption happens every 4-8 minutes. Are you suffering from digital distraction-syndrome? Learn tactics to avoid the call of distraction. 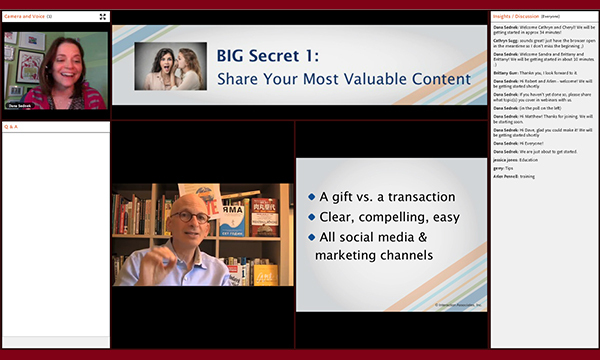 Two BIG Secrets to More Engaging Webinars! Learn Dana Sednek’s two big secrets to creating a webinar that keeps your participants engaged, actively listening, and focused on what you have to say!